Hey everyone! Today I'm going to be starting a new monthly feature: Monthly Favourites. You may have seen some Youtubers, and some bloggers posting these, and I decided it would be a fun thing to start doing. I will be including both make up and nail polish, as you'll see from this post, but it will definitely always include nail polish (because they are of course my favourite). Sometimes it will be all review products, and other times it will be products I've bought myself, but whichever they are they will always be my honest favourites. Most of the nail polish will be reviewed separately too, this will just be a summary, or a preview depending on the timing. OPI - Live Love Carnaval*. I love this colour, it's fun, summery and bright, but most of all it's incredibly opaque! I have 3 of the Brazil Collection (which I'll be posting a review of this week) and this is by far my favourite of the lot, I can't praise it enough. I'll be wearing this on my toes on holiday for sure! 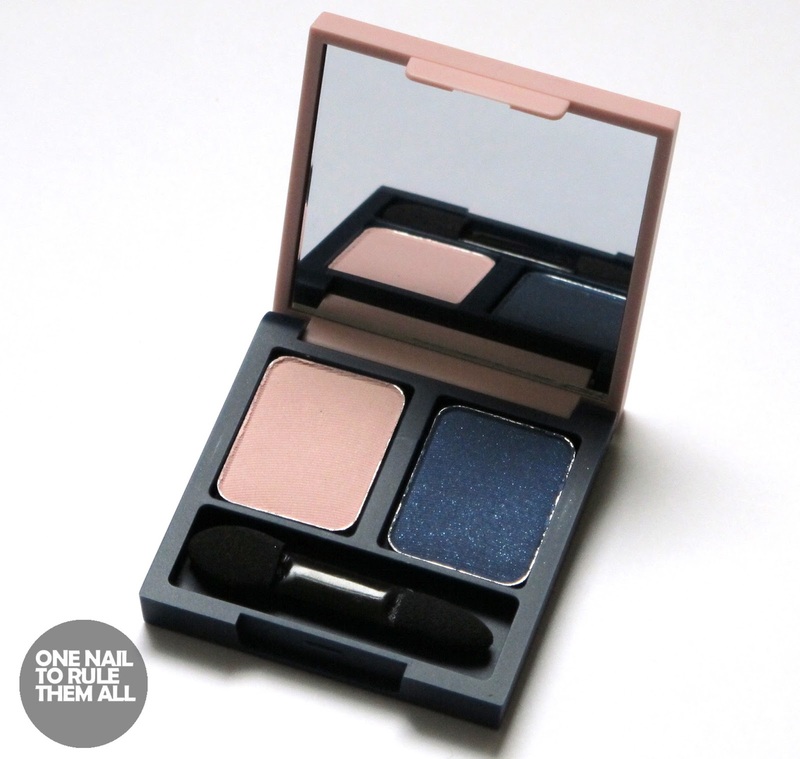 Dr. Hauschka Eyeshadow Duo* in the shades 'Ecstatic Pink' and 'Melancholic Blue'. I'm a dark eyeshadow kind of girl, so when this popped through my letterbox I knew I'd love the navy, but I wasn't so sure about the pink, especially not mixed with the navy as the press release suggests. However, once I tried them out together I loved it, and the navy is definitely my go-to for my day-to-day wear now, especially due to how opaque it is. These aren't out until July, for anyone wanting to buy them, but you'll be able to find them out the Look Fantastic website here when they are out. 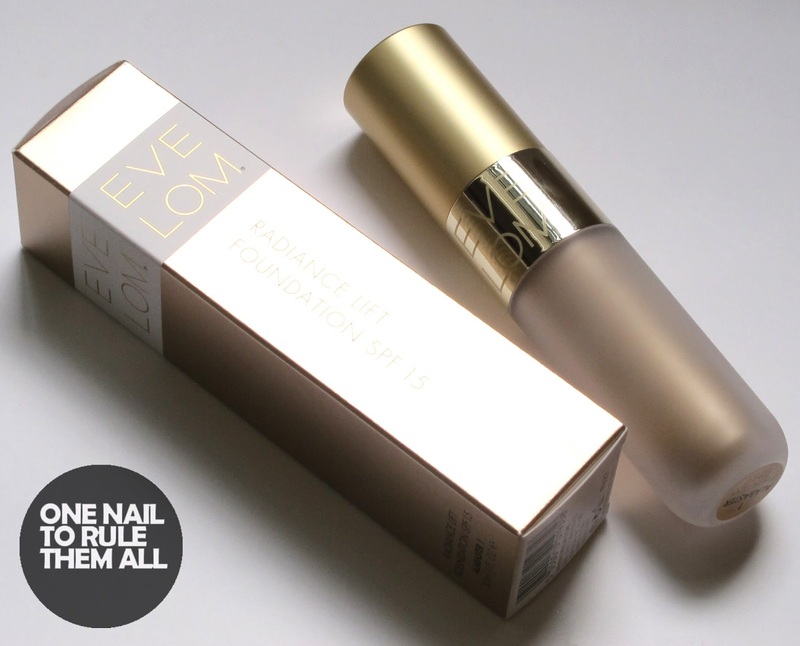 EVE LOM - Radiance Lift Foundation SPF 15*. After years and years of searching, I have FINALLY found a foundation that actually matches my skin. I have very pale skin, and even when I've been 'matched' it's always looked a bit too orange on my skin, but this is just perfect. This is made for summer so it's very light as well which is great because I absolutely hate anything heavy on my face in summer. This is on the pricey side at £50, but if you have the money to spend and you're pale like me I'd definitely recommend the shade 'Alabaster 1'. So Susan - Deep Space*. I actually swatched these a couple of months ago (still need to post them, oops!) and I fell absolutely in love with this polish. I'll hopefully be posting my full review this week so you'll be able to see how AMAZING this polish is. This picture doesn't really show it too well but it suits it's name incredibly well, it really does remind me of deep space. And finally is the Barry M - Summer 2014 Matte Collection. * I'll have my full review of these up tomorrow, exams and other commitments have delayed me posting them but the delay certainly hasn't altered my love for them! I've used these in my floral fox nails, and wimbledon nails, and you'll definitely be seeing them around a lot more because they're just perfect for nail art due to their opacity. What do you think? Do you own, or want, any of these products? 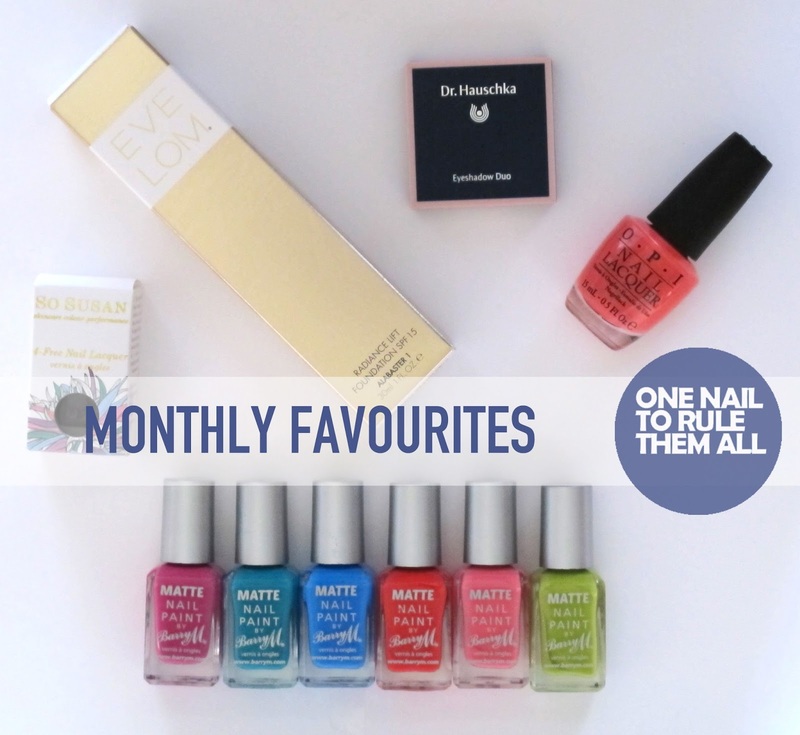 I'd also love to know what you think of this new monthly favourites feature. Let me know in the comments! I have Live.Love.Carnaval and I absolutely love this shade! It's very summery and perfect. I'm obsessed with this polish! This is a really good idea. Can't wait to see what next months products are, I like that it's not all nail polish as well. The OPI colours in the Brazil collection are so nice! I love the colour Wheres Suzi’s Man-go! Barry M, being some of the best drugstore polishes you can get in the UK, hold a special place in my heart. I absolutely love them. Although I am getting quite bored with their colours unfortunately! I feel like they're more concerned with bringing out more "special effects" nail polishes rather than new colours (or, rather than colours that interest me). They're amazing though!! I wanna try that Dr. Hauschka Eyeshadow Duo. I am also a dark eyeshadow girl and I think I will also love this.